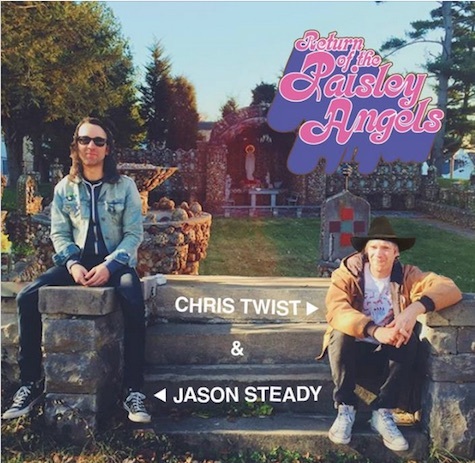 Jason Steady announced yesterday that he’s got a new album out with Chris Twist called Return of the Paisley Angels. Together, they’ve crafted an LP’s worth of indie-fied Country & Western tunes that will get your boots scootin’ and your hoodie flappin’. Check out a track or two below and pre-order before the April 24 release. One of those tour dates is the album release show April 24 at Burrito Envy in Benson. 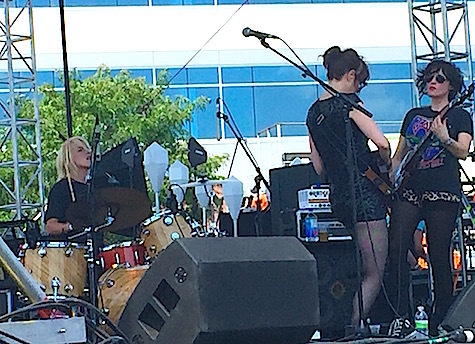 After that, Steady & Twist (Maybe they should call the band Steady Twist or Twist Steady?) will be on the road until the end of May. Conor Oberst this morning announced he’s doing a solo tour for a few weeks in July (July 17-28, to be exact). This lands in the middle of his touring with Phoebe Bridgers as Better Oblivion Community Center. No word who will back Conor on this tour. 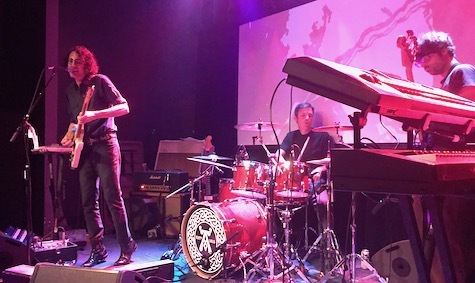 But joining him as the opener on all dates is singer/songwriter Joanna Sternberg, whose new album, Then I Try Some More, comes out July 5 on Team Love Records. Is Conor still directly associated with that label or is he just doing Nate Krenkel a solid? Lavender Country, a.k.a. Patrick Haggerty, the LGBT hero who released a collection of gay radical country songs way back in 1973, returns to The Brothers Lounge tonight. Joining him and his band are Gun Outfit and N.Y. Queer country outfit Paisley Fields. $10, early 8 p.m. show. A screen-cap from One of My Kind, the Mystic Valley Band documentary. For Throwback Thursday, here’s a link to a SPIN review I wrote 10 years ago yesterday. 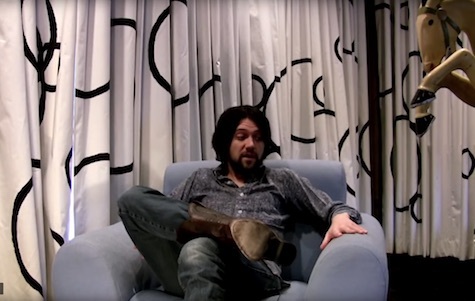 Conor Oberst was launching his new project, the Mystic Valley Band, and SPIN needed someone to cover the tour launch. It was an easy $100, and I was going to the show anyway. Over the years I’ve had opportunities to write for other national rags but turned them down, having neither the time nor the interest. Most didn’t pay a dime, offering instead national exposure that I wasn’t seeking. My high school dreams of being a rock ‘n’ roll journalist drifted away when I realized just how expensive full-time gigs like Rolling Stone can be, especially if you have to live in NYC. …Oberst has never looked more content than when he’s playing with the Mystic Valley Band. Still, he’s the kind of guy who never stays in one place — or with one band — for very long. So tell us, Conor, are you in this one for the long run? I list Pagan Athletes first though the duo is actually opening for a Salt Lake City band called Ugly Boys at Reverb Lounge tonight. I don’t know a thing about Ugly Boys, but I can tell you Pagan Athletes is a head trip worth checking out. 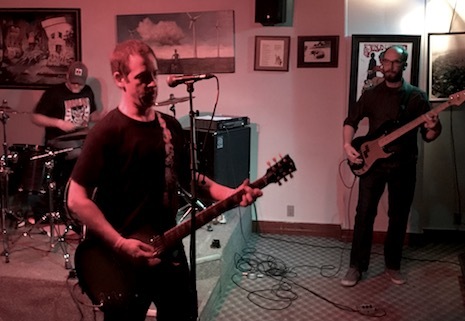 Also on the bill is Omaha rock ‘n’ roll start-up Garst. $10, 8 p.m. Meanwhile, down at Slowdown Jr., a new project by Jessica Hottman of The Hottman Sisters is launching called Sun Cycles. 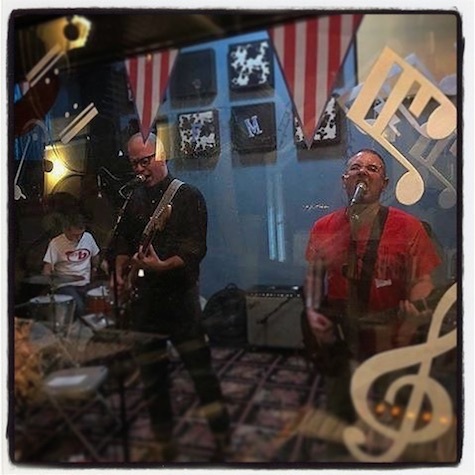 According to the listing, “Steeped in deep synth, big drums, and soaring vocals – the act pulls inspiration from artists like Imogen Heap, Lorn, and Stevie Nicks.” Kethro opens at 8 p.m. $12. Finally a trio of singer/songwriters are lighting up the stage at the Down Under tonight: Matt Whipkey Chris Koza and Scott Severin. This one starts at 9:30 and there’s no cover. 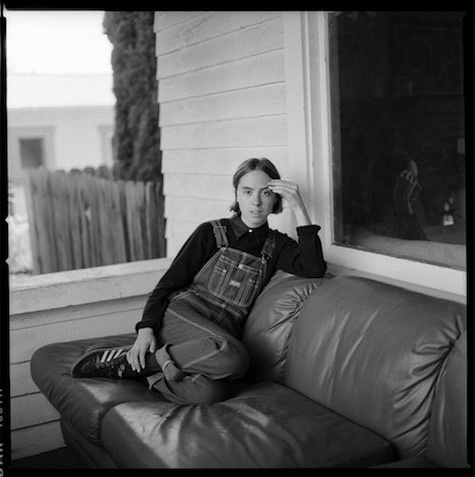 Hand Habits plays tonight at Slowdown Jr.
There’s a flood going on in Nebraska all right… a flood of great shows. Hope you got your sleep this weekend because you’re not getting any this week, because there’s a great show every night. Starting tonight when Saddle Creek Records’ latest roster additions — Hand Habits and Tomberlin — play at Slowdown Jr. Headliner Hand Habits is the project of singer/songwriter/guitarist Meg Duffy, whose new album, Placeholder, was released on Saddle Creek earlier this year. The album is sneaky good, and heavier than you might expect. Duffy is also a member of Kevin Morby’s band, and has done studio work on guitar for a number of artists, including The War on Drugs. Opening the show at 8 p.m. is another recent Saddle Creek addition, singer/songwriter Tomberlin. Her style is pretty much what you’d expect — quiet, withdrawn, personal acoustic confessions. You get both for a mere $10. 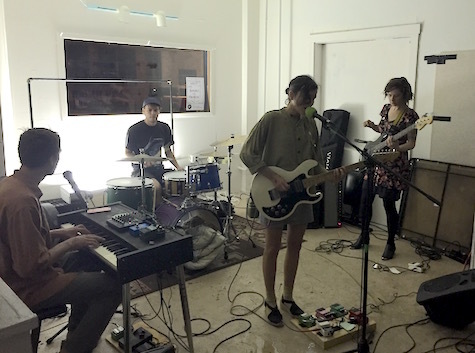 Also tonight, dreamy electronic trio Mansionaire (Glassnote Records) plays at Reverb Lounge with Beacon. $15, 8 p.m.
— Thursday: Telekinesis at Slowdown, Jr.